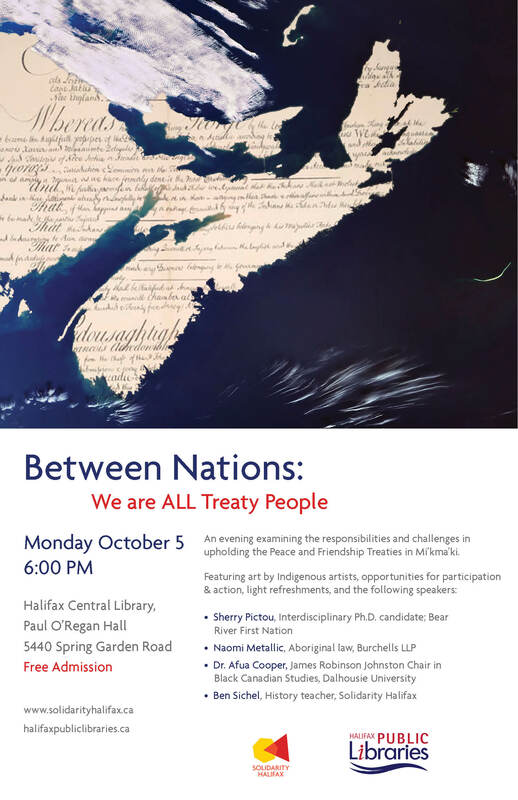 In anticipation of Monday’s event titled Between Nations: We Are ALL Treaty People, Sheldon MacLeod of 95.7FM interviews Tayla Fern Paul and Solidarity Halifax member Sébastien Labelle who share their thoughts about the relevance of treaties today. Listen to the interview HERE. Place the time marker at 26:30.